Fantastic card! I love this trend of little images all over the card - it always looks so fun and happy! I love the way it turned out. Cute party hats and candles, with just the right amount of paint splatters/speckles/droplets. Very cute and cheerful and I love that! 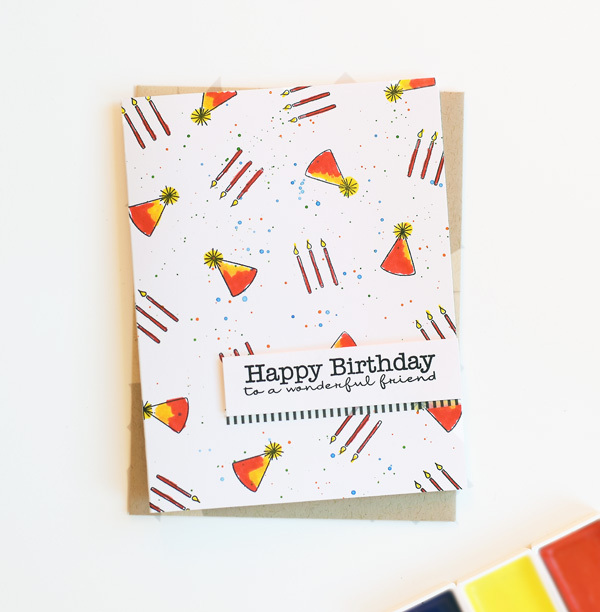 The splatters and Washi tape are great details that make a world of difference, too. Love your colors. 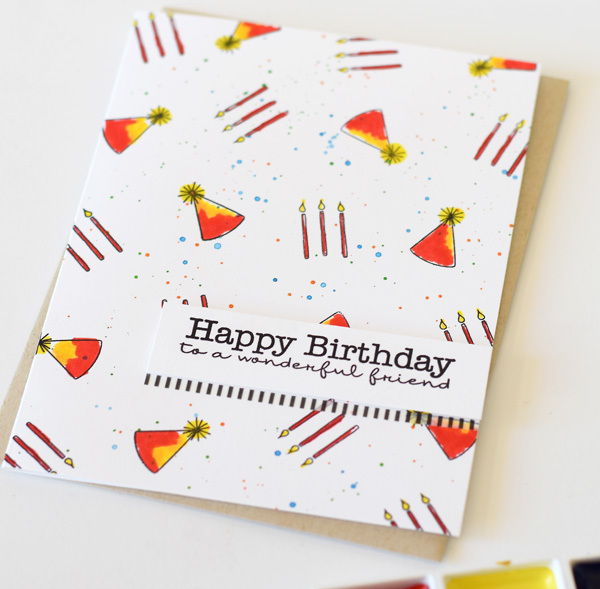 Adorable, the "stamp your own cardstock" look is really fun! I love this card you made!!! Very fun and pretty! J.B. this is worth a celebration! Adorable, right down to the last candle!